Well not only am I back home but I’m happy to announce I’m back to posting regularly on Steemit! I have tons of content to share with you guys and things are going to get super busy. So the plan is to pre-write my posts via the #esteem desktop app. Anyway last night we got back from celebrating our 10 year anniversary in Saint Lucia. In the future I’ll be sure to share my experience there as well as write some reviews of the excursions we went on and what it’s like having a butler in the Sandals resort. Another exciting thing I’d like to share is that I finally bought a drone! I decided to go with the DJI Spark. Mostly due to the low cost and conventional wisdom states always good to start out with a “cheap” drone as you’re bound to crash it. I’m happy to announce that I didn’t crash or have any close encounters. I was more concerned about people and / or resort staff complaining about using a drone. If anything people were excited to see one and everyone was cool about it. 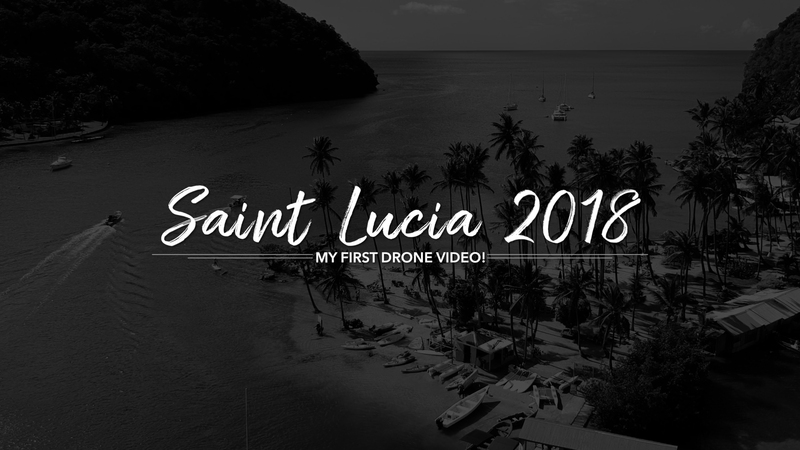 And speaking of footage I’ve got at least 5 videos I want to create – but as you can imagine I couldn’t wait to see and edit my drone footage. The footage from the Spark isn’t that great as it’s limited to 1080p at 30 frames a second. I wish it at least had the option for 24 or better yet 60. Plus I’m not crazy about the compression and over-sharpening. But overall I’m super glad to finally have a starter drone and with all that being said….